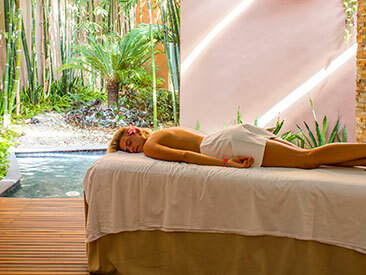 The Azul Ixtapa Resort has so much to offer visitors seeking a vacation to Mexico that packs a lot of punch. This all inclusive resort on the Pacific coast, by the renowned fishing village, Zihuatanego, is a popular vacation spot in Ixtapa. 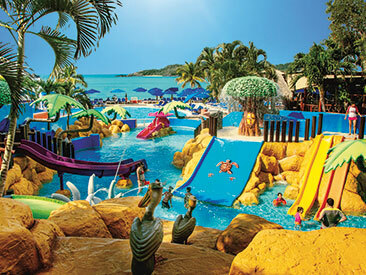 A themed park for kids with a separate Kids Pool, interactive games, engaging and entertaining programs for kids of all ages, make this a great place for your family vacation. If you are looking to enjoy an action-packed holiday, the eco-gym, high-energy fitness classes, tennis courts, sailing, kayaking, and mini-golf are only some of the many activities to keep your heart rate up. Settle into luxurious accommodations when you stay in the deluxe rooms featuring spacious living areas, top-notch amenities, and ocean views. Sample from a wide selection of international dishes, from local Mexican fare to Mediterranean, seafood to pizza - there are ample buffet and a la carte options to choose from. 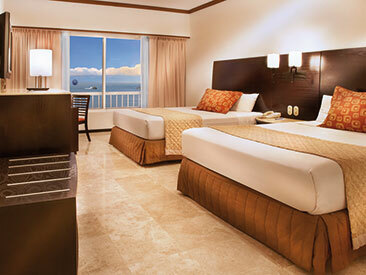 Enjoy nightly entertainment, and a special family dinner show which is offered once per guests stay. 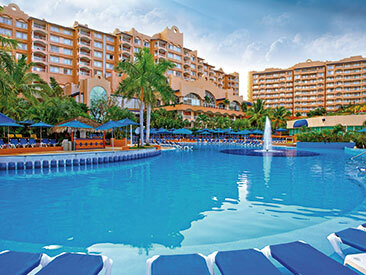 Escape to the Azul Ixtapa Resort for your next vacation!